Take your training to the next level, enjoy a fully personalized session with UNITY™ 3.0. The new Android 5.1 powerful console makes the training experience more simple and fun thanks to Wi-Fi® and Bluetooth® connectivity and new engaging workouts that will race you to the finish line. The integration of MyWellness Cloud’s open platform offers a number of interactive experiences and personalized training programs for the user to enjoy during their workout. Run your favourite Marathons at home. Choose your location and the treadmill will make your run more realistic by changing the incline to mirror your path. Pick up where you left off if you don’t finish. You can easily connect to Netflix and enjoy your training while you’re watching your favorite tv series. The Speed Shift option allows you to create interval training profiles on-the-fly and switch from one speed level to another with one touch. UNITY™ 3.0 enables you to set up a personal profile that automatically links to your favorite content and training programs. Enjoy the feeling of being somewhere else! Select one of 16 different virtual locations (8 on bikes and 8 on treadmills and crosstrainers) and try an outdoor training simulator on your cardio console. Go straight to your Instagram, Facebook, YouTube, Twitter and Skype accounts. You can also access your favorite apps, TV channel and websites. With the User Content Sync when you log in, the equipment automatically signs in to all app. Our smart TV technology supports all standards including IPTV and PRO- Idiom, without the need for set top boxes so you can control viewing directly from the touch-screen console while training. Use your preferred training app to track your path and performance, feed the information to UNITY console from your mywellness.com account and recreate your outdoor experience every time you want to. Create a personalized training experience suited to your requirements choosing from a variety of workout options. Discover the most popular workout for exercising against time, or number of calories burned, or the distance covered. You can choose your exercise from the complete list of available workouts: Goal Driven, Heart Rate Driven, Advanced and Test. You can create a personalized training program on your mywellness.com account based on your needs and available equipment. Follow the list of exercises and keep track of their status. Is your training effective? You can monitor the results over a set period of time and check your progress against your set goal to make the necessary changes to your training program. The benefit of tracking all your data is that information is permanently stored, can be referenced over time and helps serve as a reminder for you to continue your healthy exercise habits. All data aggregated from equipment, apps and devices are automatically pushed to your account in the my wellness cloud and saved. You can access your data whenever you want from your personal devices or from the console to monitor your results over time. Let your family and friends know of your success, you can share all your data with them and share your latest body parameters with your doctor. Technogym’s mywellness cloud boasts the most comprehensive list of third party fitness and device partners in the current marketplace so end users can seamlessly measure and aggregate all of the data surrounding their physical activities, both inside the gym and out, along with their daily movements and their evolving body measurements. 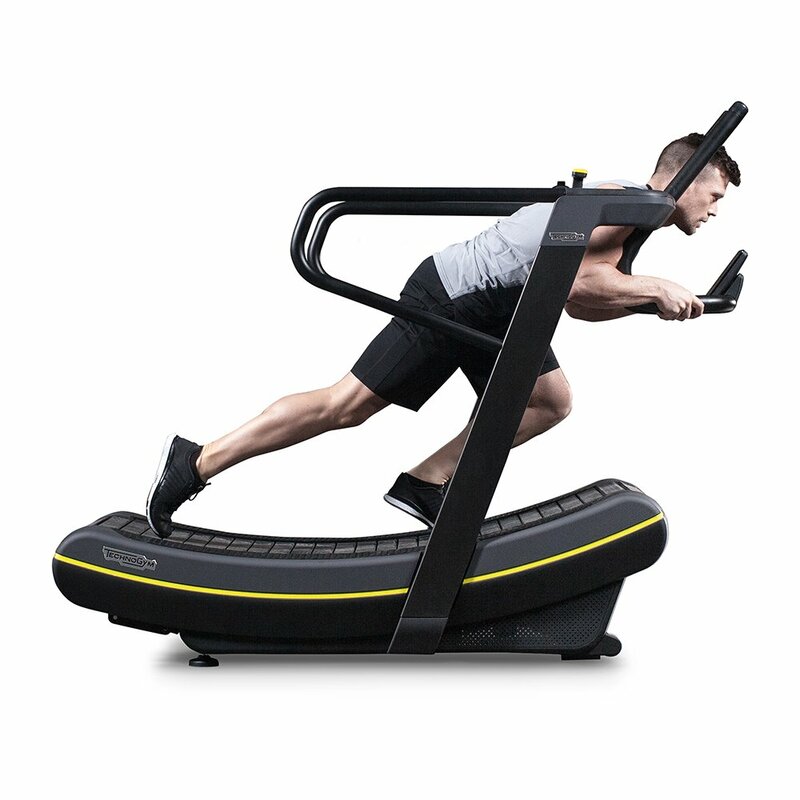 The innovative integration between Technogym and the app RunKeeper enables frictionless fitness tracking from within the gym, the home, and now across any of the many types of indoor and outdoor activities. The RunKeeper suite of applications uses built-in GPS technology to provide users worldwide with the ability to map, record and share their exercise routes and workouts. Thanks to the Technogym Ecosystem and the new mywellness cloud open platform, both Technogym and Fitbit users will be able to experience real-time connectivity between Fitbit’s award-winning wireless activity and sleep trackers and Technogym equipment, apps and cloud. Users will need to link their mywellness account with their Fitbit account just once and they will automatically get all their Fitbit stats including steps taken, distance travelled, calories burned, floors climbed, active minutes and sleep quality continuously synced to their mywellness account. The MapMyFitness suite of applications, under the MapMyRun and MapMyRide flagship brands, uses built-in GPS technology to provide users worldwide with the ability to map, record and share their exercise routes and workouts. Wellness on the Go, a revolutionary vision for the future of fitness, allowing users to connect with their personal wellness anytime and anywhere. The mywellness cloud is fully integrated with MyFitnessPal, allowing users to seamlessly synchronize vital nutritional intake, which underlines Technogym’s Wellness on The Go proposition. MyFitnessPal provides a very simple way to log every food you eat during the day, assuring you are staying on track for your daily target caloric intake. Garmin has been helping people achieve their health goals since 1989 so whether Technogym members are active by walking, hiking, running, cycling, swimming or are multisport athletes, Garmin has a device to support their needs. Members can now link their device to the mywellness cloud platform through a simple one-time process allowing their activity data, from steps to detailed GPS information, to be automatically shared to their mywellness account. Every single movement tracked on Strava is seamlessly synchronized with the mywellness cloud, allowing users to track their progress, set realistic fitness goals and ultimately push themselves further by competing against friends or aiming to break a personal record.